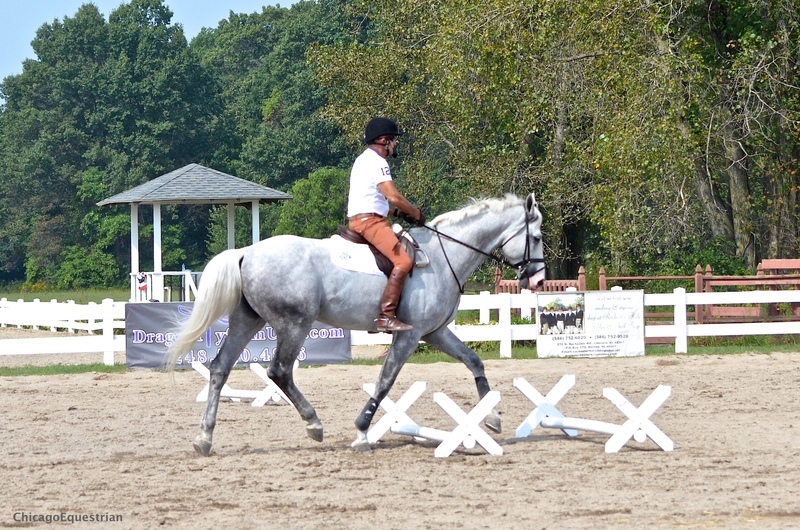 George Morris demonstrates proper flat work without stirrups during the 2015 Michigan clinic. 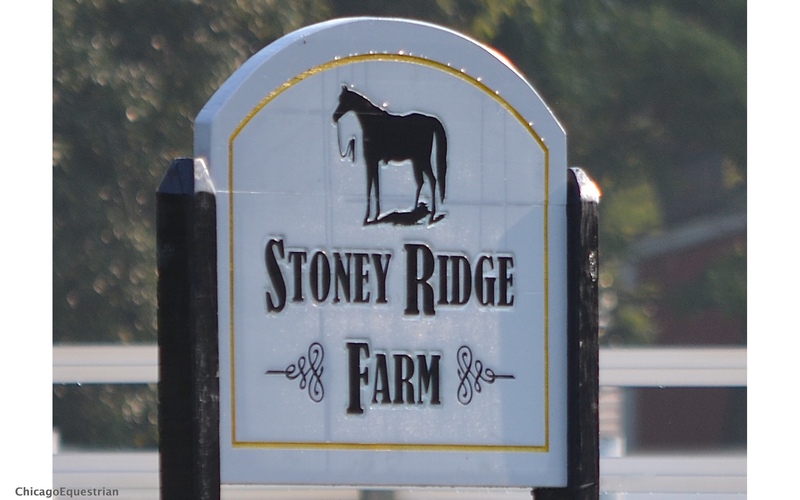 Temperance, MI – September 8, 2015 – Stoney Ridge Farm hosted the George H. Morris riding clinic and USHJA Trainer Certification Program (TCP) at Hunters Run Stables in Temperance, MI. The three-day clinic organized by Scott Alder with Diane Carney, Antioch, IL, as the barn manager, stressed flatwork, discipline and all aspects of horsemanship. Day two was no-stirrup day focusing on balance and position. Morris’ flat work included serpentines and voltes and stressed suppleness and straightness of the horse through use of the leg and hand aids. Morris also spoke to the teachers in the Trainer Certification Program encouraging them to know the basics inside and out. “Two percent (of riders) get it a lot. Five percent get nothing. Only ten to fifteen percent want to be serious, the rest are recreational. And there are few boys coming up the ranks and that is bad for our sport,” said Morris. Morris demonstrated straightness of the horse. Jumping exercises focused on gymnastics and the rider’s release. Morris talks to the teachers, explaining theory and skills they should learn and continue. Morris explained that students need to see how it should look, so trainers have to be able to do it or have an assistant who can show them so riders can copy. He also emphasized attention to the whole program in the barn. “John and Beezie (Madden) run a top class stable. They use only the top grooms and managers, the best vets and farriers in the country. She’s a great rider but that’s just part of it,” Morris pointed out. Rachel Kotowicz of Waverly Farm in Leonard, MI, is one of the trainer’s participating in the Trainer’s Certification Program. 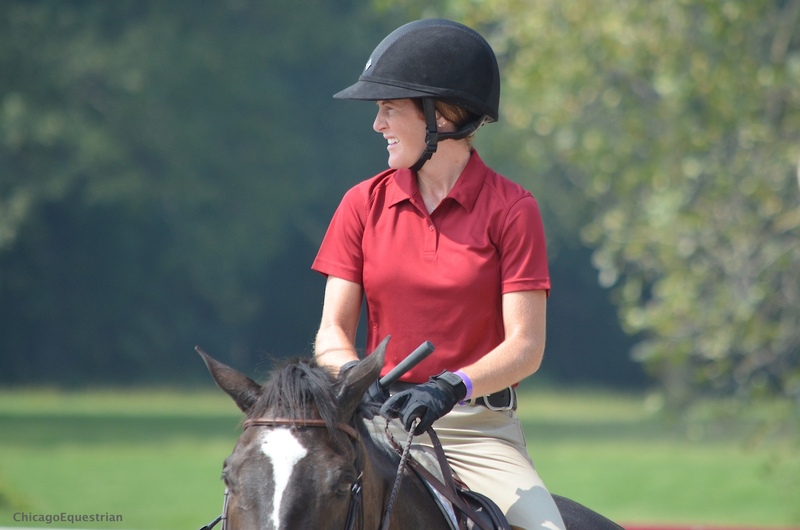 Trainer, Rachel Kotowicz, participated in the riding clinic and TCP. “I was riding in the clinic so combining it with the TCP was a no brainer,” said Kotowicz. “I wish he (Morris) was here when I was younger so I could have taken advantage of it then. I think I will pay more attention to detail at home. It’s a little intense for the kids when I come home after these clinics,” added Kotowicz. 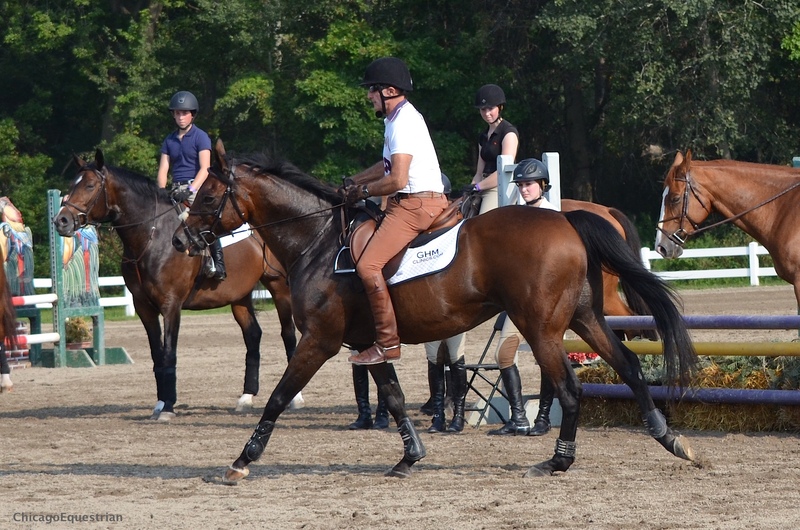 Morris showed riders and teachers various training exercises to improve suppleness of the horse. Melissa Hirt is a professional from Traverse City, MI, who is already certified and was renewing her certification. 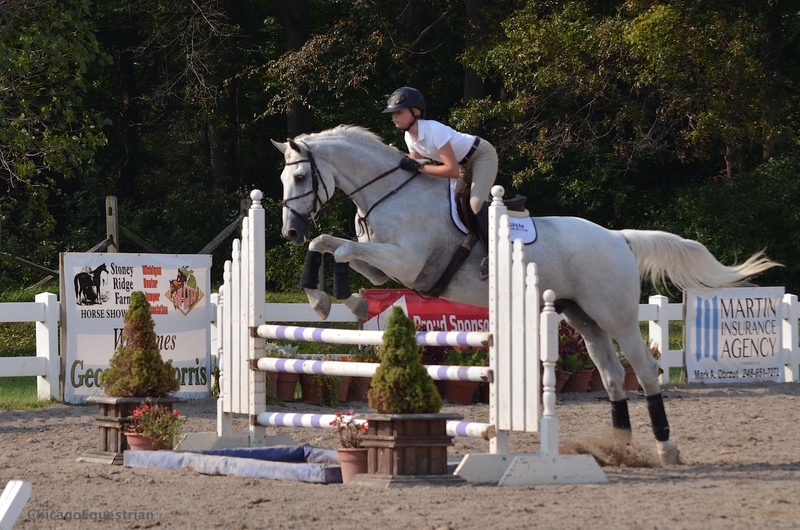 She has ridden in Morris' clinics in the past and had three students from her Northern Pines Farm riding in the clinic. Several of them will be doing the Zone 5 Horsemanship class in Kentucky prior to the Maclay Regionals. The class consists of a written test, a flat phase, a jumping phase and usually an additional work off. 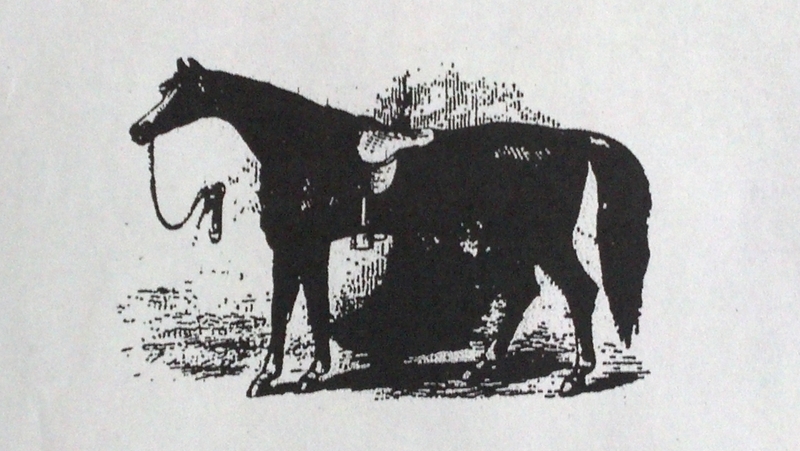 The test is created from the Hunter Seat Equitation book by Morris. There’s no better preparation for them than Morris’ clinic. One of the riders competing in the Zone 5 Horsemanship class is Paige Matthies, 14, who is qualified for the USEF/Pessoa Medal Finals and the ASPCA Maclay Regional Finals. She has been preparing for the clinic and the finals for weeks already. Paige Matthies reviews the basics before medal finals. 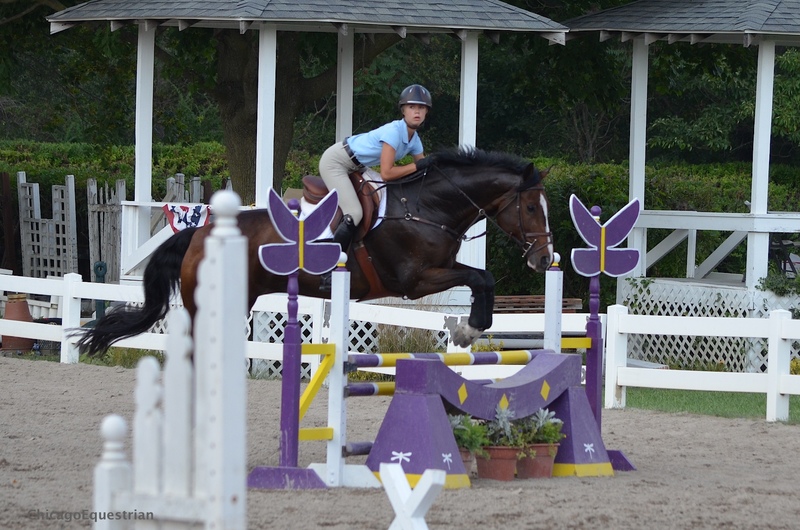 MacKenzie Snider, 14, of Traverse City, is also qualified for the equitation finals and will be in the Zone 5 Horsemanship class with her barn mate, Matthies. McKenzie Snider works on skills she can use in he Zone 5 Horsemanship class. Riders listened to Morris explain the basics. Carney, also a USEF R HU/EQ/JP judge, has learned during the 30 plus years of organizing the George Morris clinics, that Morris emphasizes being prepared. 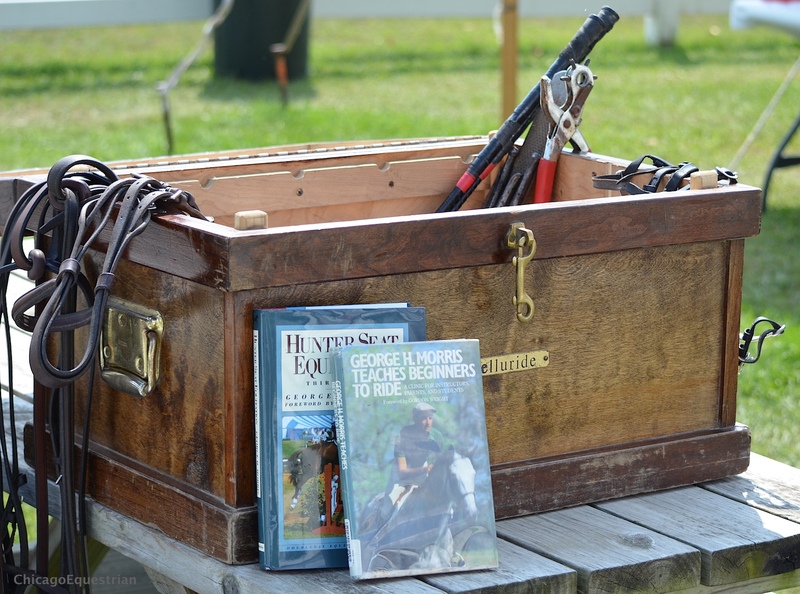 She arrives at the clinic with a tack trunk filled with Morris’ basic ‘must haves’, such as bit keepers, double wire bits, rein stops, hole punches, snaffles, spurs, crops and the ability to pull a shoe when needed. The trunk containing Morris' basic 'must haves'. “George’s clinics are always progressive. Day two is generally without stirrups and every rider today improved their seat because of it,” said Carney. "It prepares them for what's coming on day three, which is typically the toughest day." 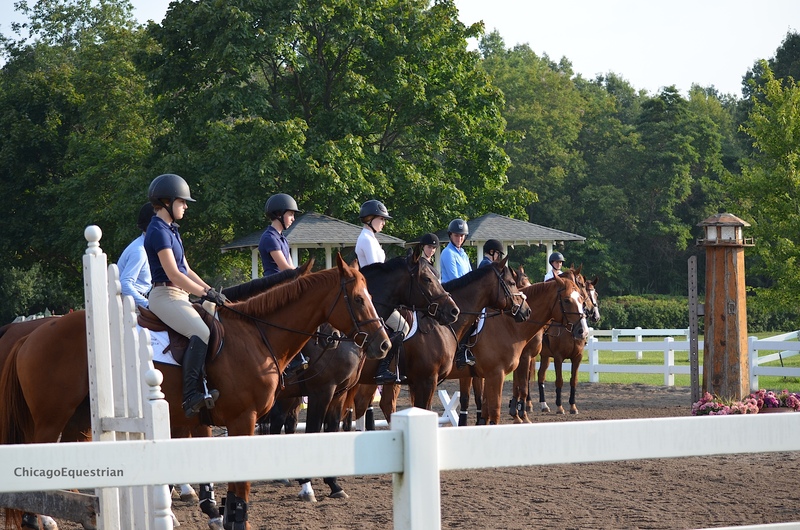 Alder organizes a fantastic three-day opportunity for trainers and riders in the Michigan and surrounding areas to easily commute to and participate in. Alder has made a great effort to provide accessible and affordable education to the area in hopes of increasing the level of horsemanship for the benefit of all, especially the horses. Auditors are welcome for $75 per day. Hunter’s Run Stable is located at 9241 Secor Road Temperance, MI, 48182. For more information on the clinic, contact Scott Alder at 734-395-9086 or srfalder@aol.com. 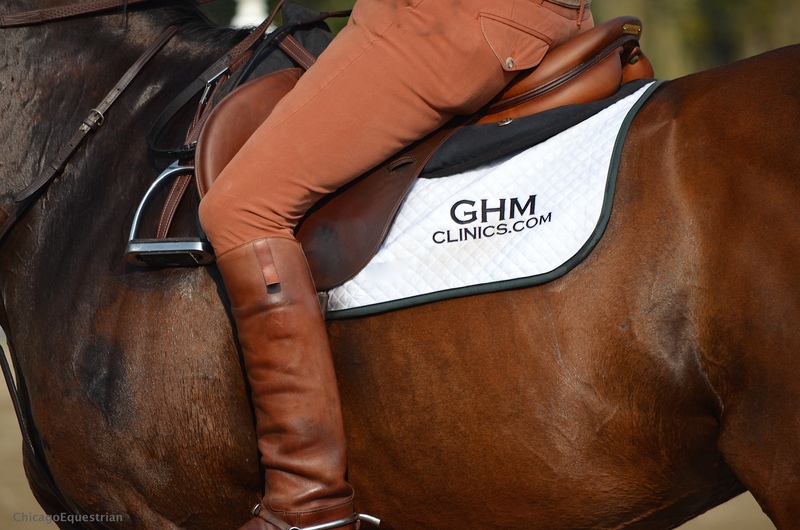 For a list of more GHM clinics visit www.GHMclinics.com. Photos by Chicago Equestrian and may only be used in relation to this release.